It’s a frigid winter day in December of 1942 at the C&NW’s Proviso Yard in Chicago. 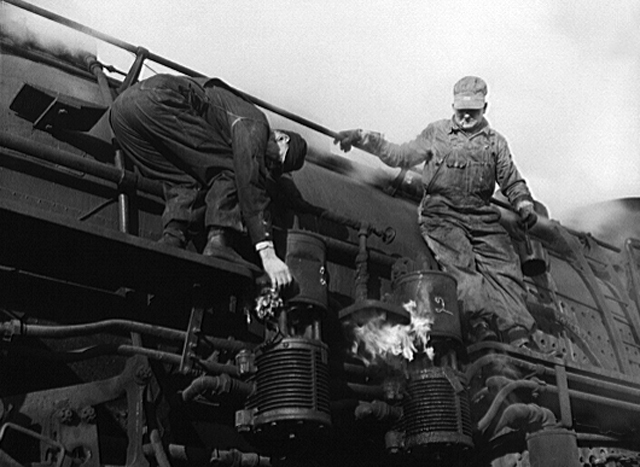 Jack Delano spied these engine-men attempting to thaw the air pumps on their steamer. Burning a bit of cotton waste against them hopefully will do the trick.